The NCS Conference 2017 was the perfect way to top-off an amazing year for Future Foundations and NCS. The day started with a fond yet short welcome from Michael Lynas and our grad hosts for the day. Immediately you could feel the NCS induced atmosphere in the room. We moved straight into the first session, ‘the voices of NCS’. As a grad myself, this session was great to witness. It was nice to see my peers up on stage smashing! 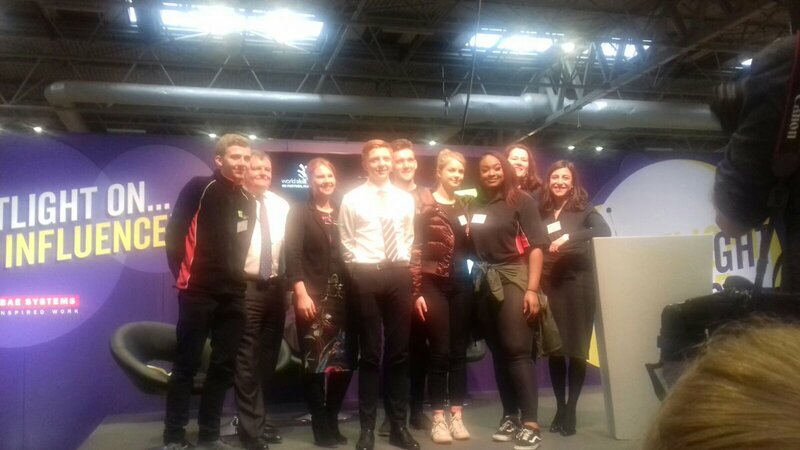 It was also cool to hear about the narrative of NCS and how far it’s come from being an idea in the Cabinet office to having a Royal Charter. Which we got to see, and it was massive! We also heard from schools Minister, Lord Adonis who thinks “NCS should be a rite of passage…to reunite a divided society”. Next it was time to re-fuel and catch up with faces new and old in a networking break. For me personally it was great to see Bud who was a team mentor on my NCS wave and, now works for the NCS trust. Several coffees and pastries later the conference resumed with ‘the spirit of NCS’. FF veteran Mary Daniels led this session and shared with us her own extremely inspiring story, and how she went from being in the whirlwind of success, nearly giving it all up, to finding calmness and changing direction; reminding us that although at times it can be easy to become overwhelmed – take a step back and don’t overthink things. Rob Hopkins also gave a great talk on his ‘Transition Network’ campaign, which promotes the idea of communities becoming sustainable by providing their own food and energy. A mega social action project! After lunch we returned to a session on the views of a parental guardian. 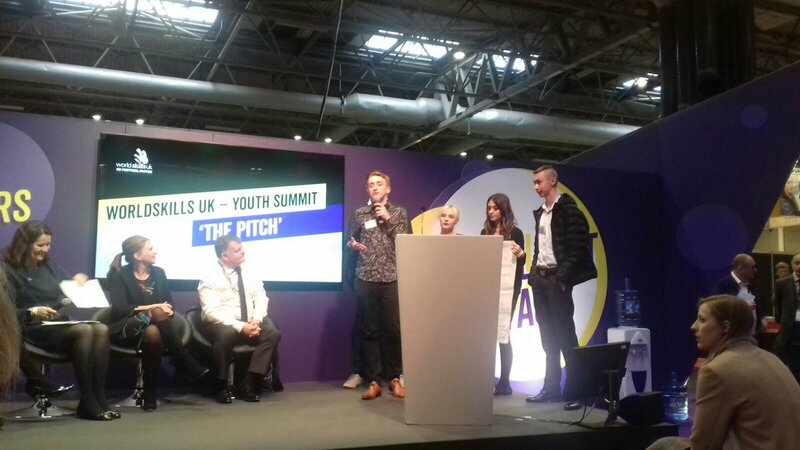 This session was reminiscent of ‘Surprise Surprise’ as two grads were invited up on stage to talk about how their ‘mam’ Mrs Cooper had benefitted from NCS and how she’s now one of the biggest advocates in the country – unaware she was backstage. It was a real tear-jerker when she came out on stage because you could see the emotion and the journey that they had all been through. The penultimate session was a focus on mental health, which BBC Radio One presenter Katie Thistleton hosted and explained how important she believes mental wellbeing is, and that she finds it great how children’s TV shows and NCS are facing the stigma around it. Bryony and Saskia, 2 grads, also came up on stage and spoke about their own experience with mental health and how NCS has given them a platform to help others. The session closed with Vanessa King, a Board Member and the lead positive psychology expert for Action for Happiness, explaining her 10 keys to happier living and that we need to be “our own wise coach, rather than harsh critic”. The final words of the day were spoken by CEO of NCS Michael Lynas. This was both a humbling and motivating experience. He gave us the highlights of NCS 2017; from receiving a Royal Charter to creating a West London summer programme for the youth affected by the tragedy that happened at Grenfell Tower. It was great to hear ‘mi gaffer’ Jonathan Harper CEO of Future Foundations mentioned, as having the honour to work for him I see the amount of hard work he puts into improving the lives of young people. Overall 400,000 young people have graduated from NCS since 2011, 99,000 of those in 2017. These numbers make me extremely confident about the future of our society. I’ve lived NCS and have experienced first-hand the impact it has on each young person’s life.